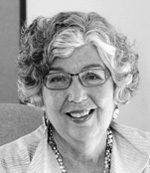 Nancy Rubin, MSW, has been a social services administrator for over 30 years, serving as President and CEO of Edgewood Center for Children and Families, Director of Health and Human Services for Marin County, California, Deputy Health Director for Los Angeles County, and Director of Forensic Services for the San Francisco County Department of Public Health. In addition to her exceptional management skills, she is an expert planner, facilitator and trainer. Patty Siegel has been called California’s premier child care advocate. She was the founder, and for seven years the Executive Director, of the San Francisco Children’s Council, formerly Child Care Switchboard, one of the nation’s first child care resource agencies. She went on to found the California Child Care Resource and Referral Network, which she directed for 32 years. Patty’s work at the national and state levels has played a major role in shaping public policy on child care. Wanting to ensure that parents are heard in the public policy debate, she also founded Parent Voices, the state’s major parent advocacy group for child care, now in 15 counties. 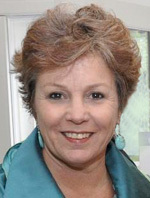 Jill Wynns is a national education leader who has served on the San Francisco Board of Education since 1993. She is currently the President of the California School Boards Association and the incoming Chair of the California Cities Counties Schools Partnership. She has played leadership roles in the National School Boards Association and the Association of California Urban School Districts. She has gained a national reputation for her policy expertise in student nutrition, school finance, labor-management practices and desegregation. 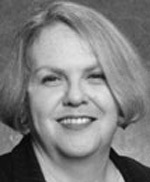 She is widely recognized for her statewide leadership on funding for public schools.